Building mass is one thing many men can agree on. However, there are certain muscles that most of the attention and are chased after by everyone. One of these such muscles is the chest. 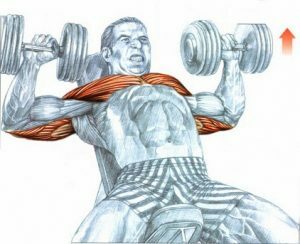 Doing workouts for chest, are extremely satisfying as you get a huge pump, getting as solid as a rock, and just feel powerful. I will go over, the four best workouts for chest below, both for getting bigger, and also for sculpting the muscles. 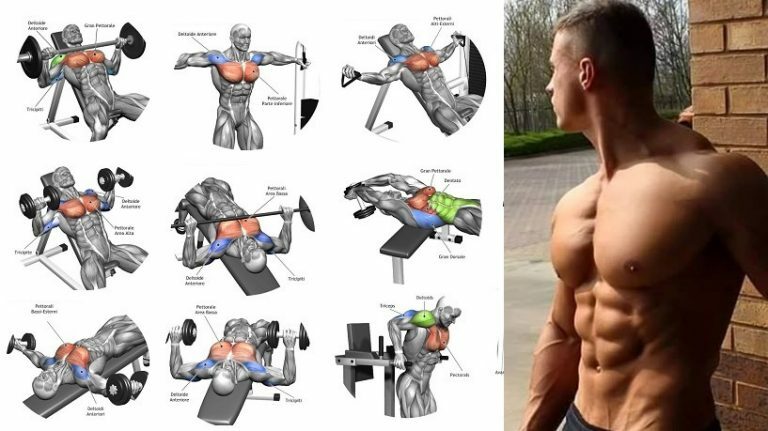 If you do these exercises once or twice every week, you will notice your pecs becoming solid, and muscular. 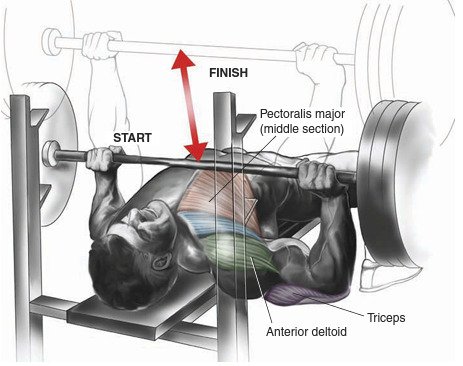 Exercise #1 Bench Press– The bench press is the most important overall chest building exercise that you can do. If you only do one exercise for the chest, do this one. It is a bulk up exercise, and will add mass quicker than any other exercise you can do. Also massive strength gains will be achieved through it. 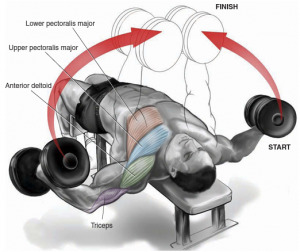 Exercise #2: Incline Dumbbell Press– This exercise is crucial for getting that full look near the top of your chest, between your shoulders and pecs. Dumbbells or a barbell can be used, whichever is preferred. 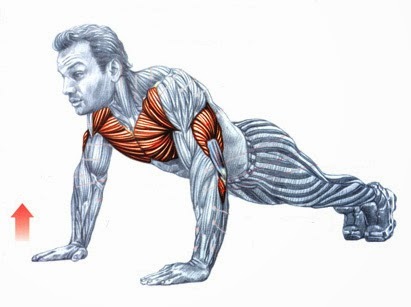 Exercise #3: Dumbbell Flyes- Out of all the workouts for chest, this particular one is primarily for shaping your pecs. It will widen them as well, and give a nice stretch after working out with the heavier weights. It can be performed lying on a flat bench or inclined, or declined. Exercise #4: Pushups- This is a great finishing exercise to completely exhaust your chest. It can be done with many different variations, such as wide, closer (to work triceps), incline, or decline. This will put the finishing touches on any chest workout and should be performed a lot. These 4 workouts for chest are the most important and basic, and are you will ever really need to build tons of muscle!